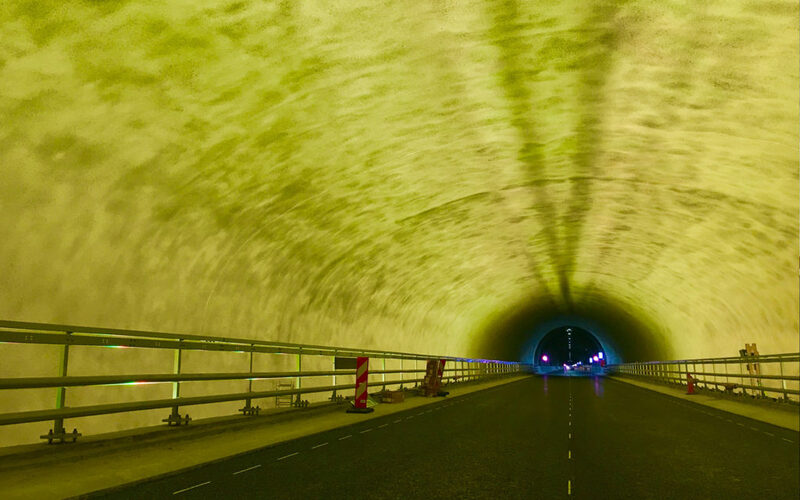 To drive into a tunnel is about driving into a non-familiar world. 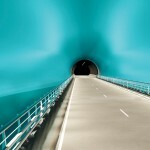 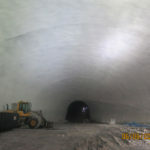 Some people find tunnels scary and claustrophobic, like feeling their body crush. 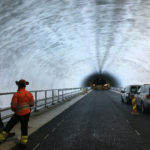 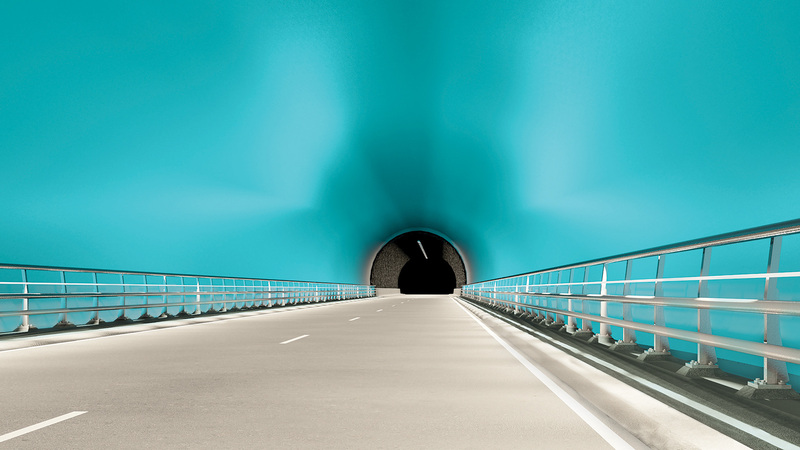 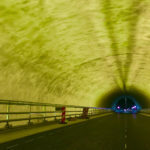 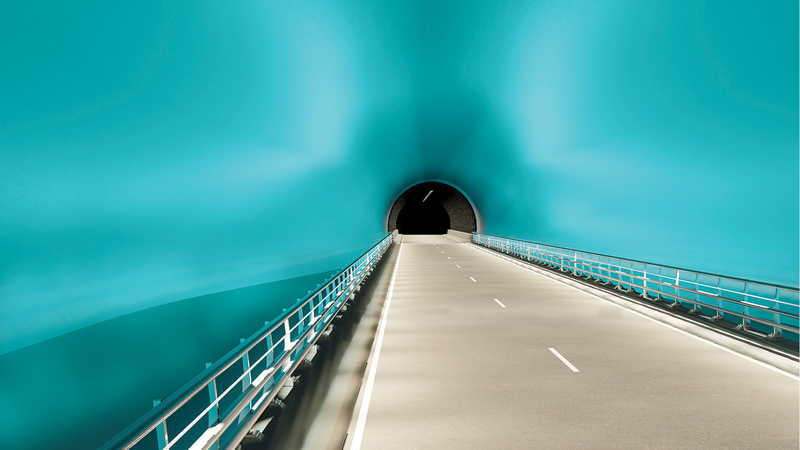 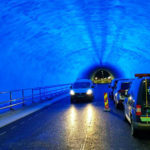 As a metaphor, to drive into this deep undersea tunnel might be compared with a sea mammal’s dive; – up and down to breathe preparing for the big dive. 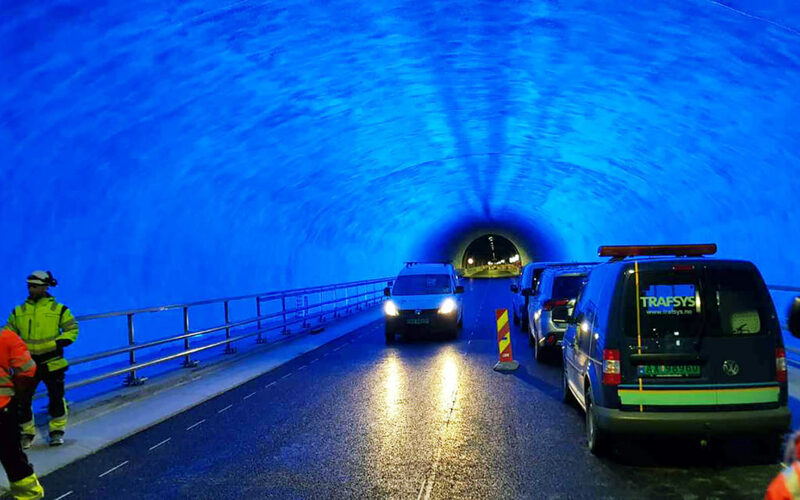 For us to manage the deep tunnel dive, we need some metaphorical mental breaks. 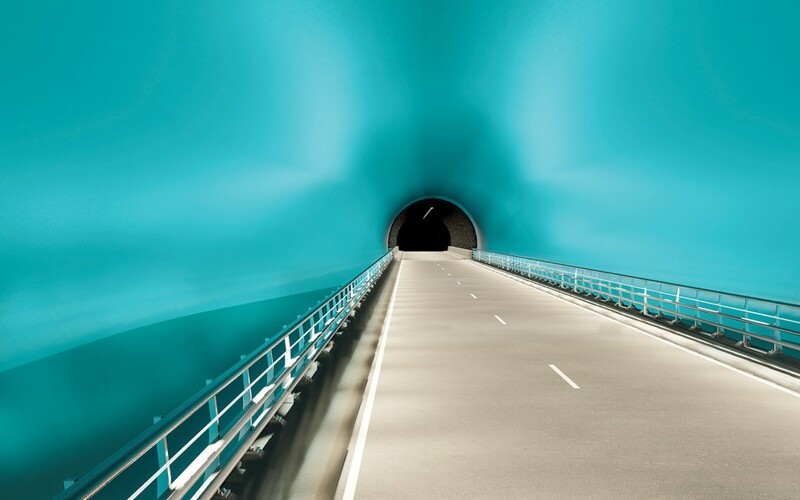 To see a luminous bubble appearing, and then suddenly finding yourself driving over a bridge in a room, in an endlessness of crispy blue light, giving you a feeling of loosen up, – to breathe! 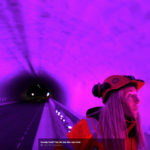 I am sculpting two drop shaped; or more likely sea mammal shaped, huge “breathing rooms”, cleaning them for all visual technical devices, illuminated by hidden indirect LED-light, - an endless blue, making the immaterial present. 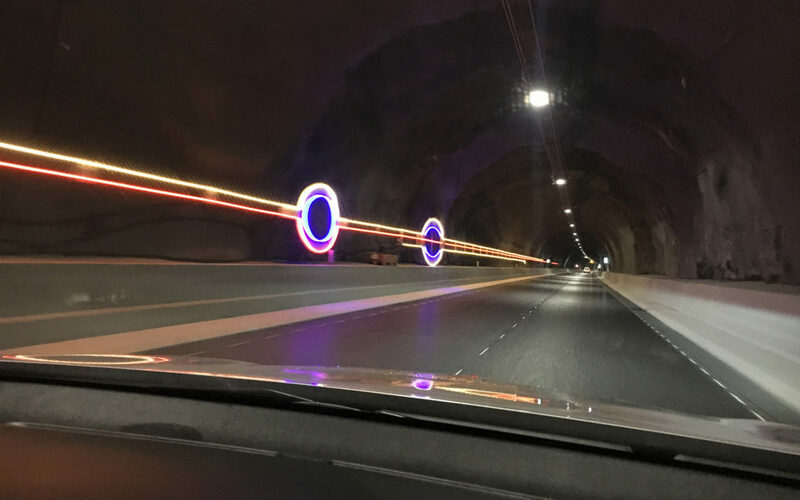 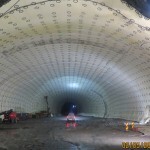 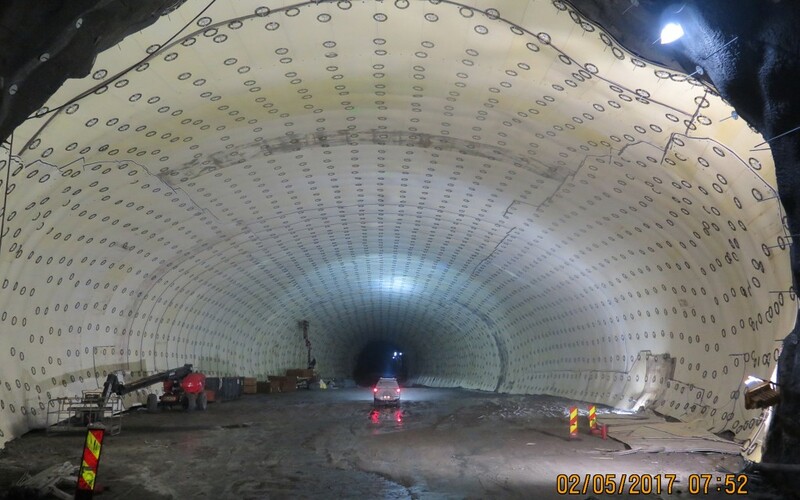 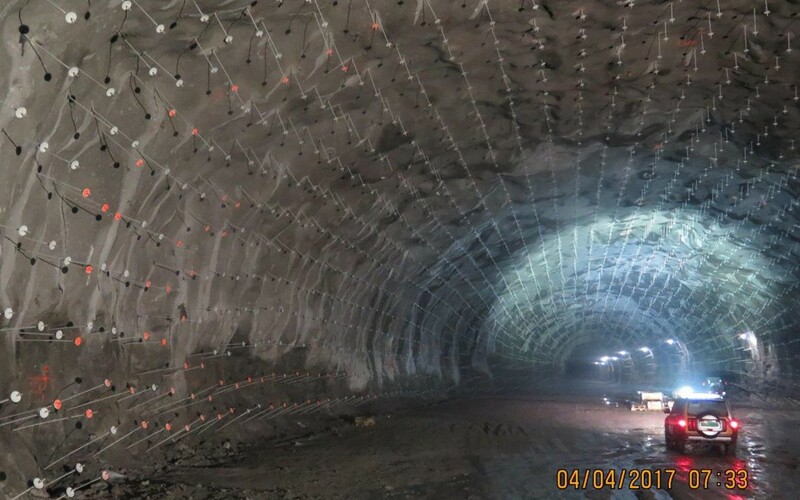 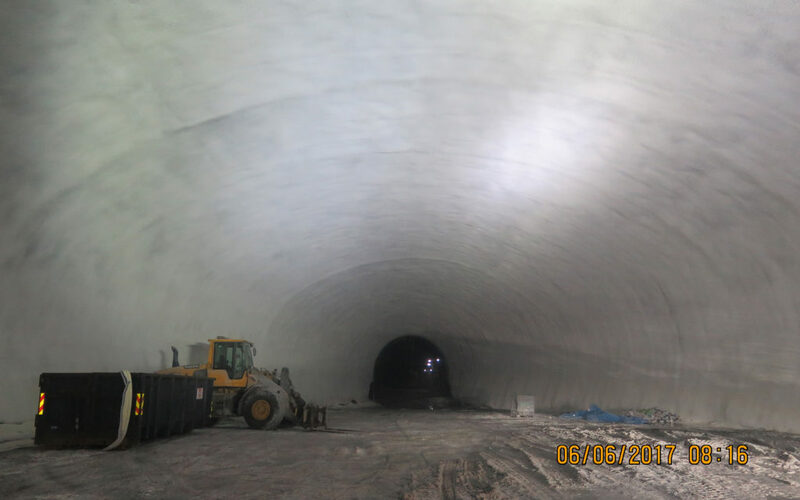 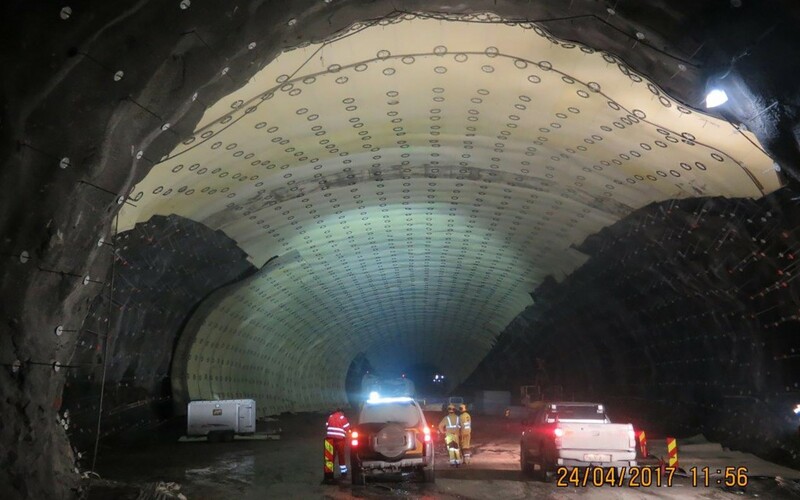 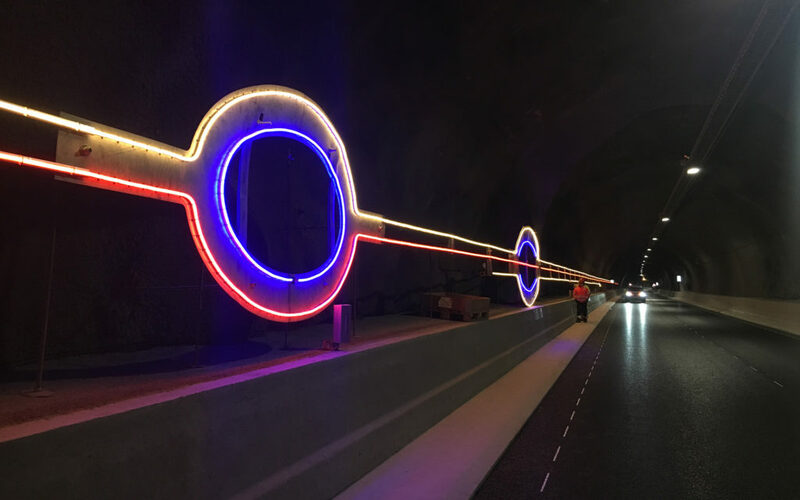 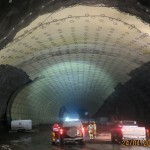 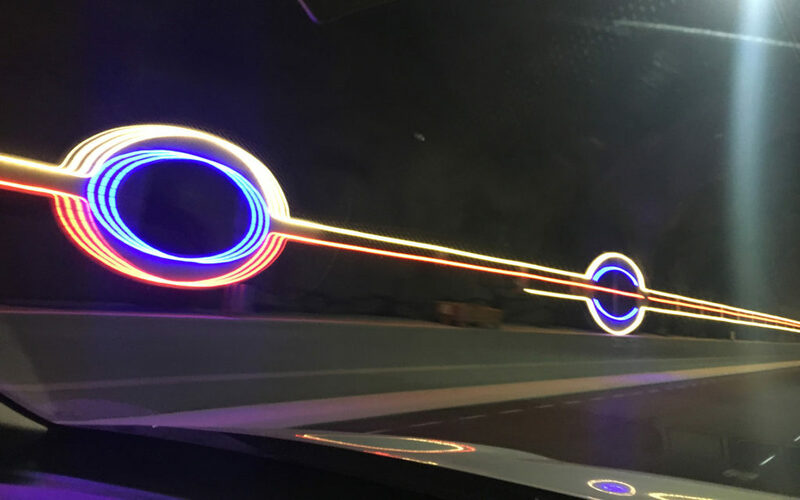 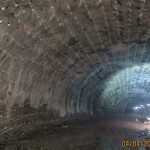 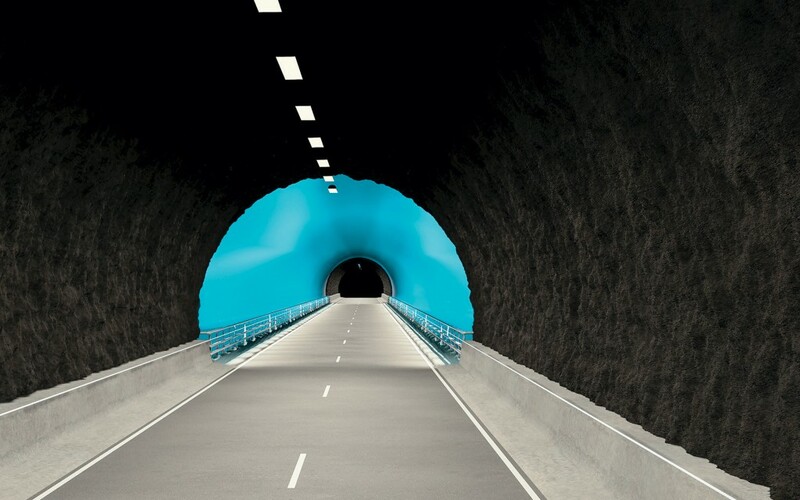 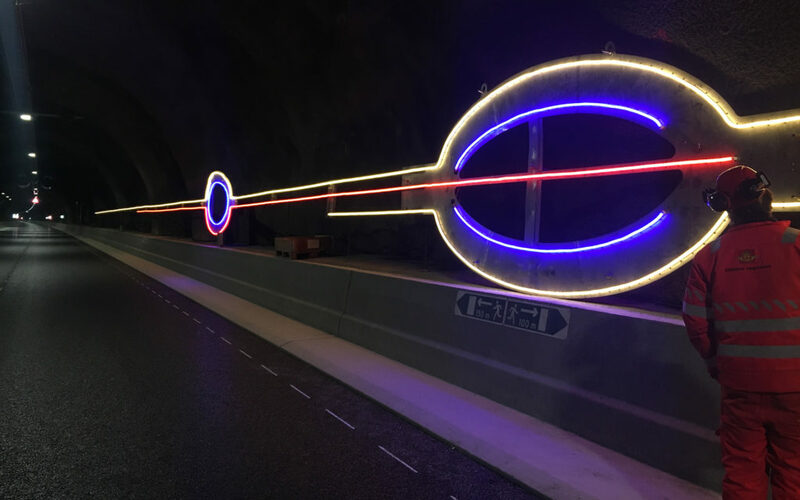 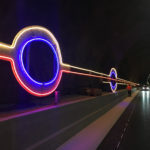 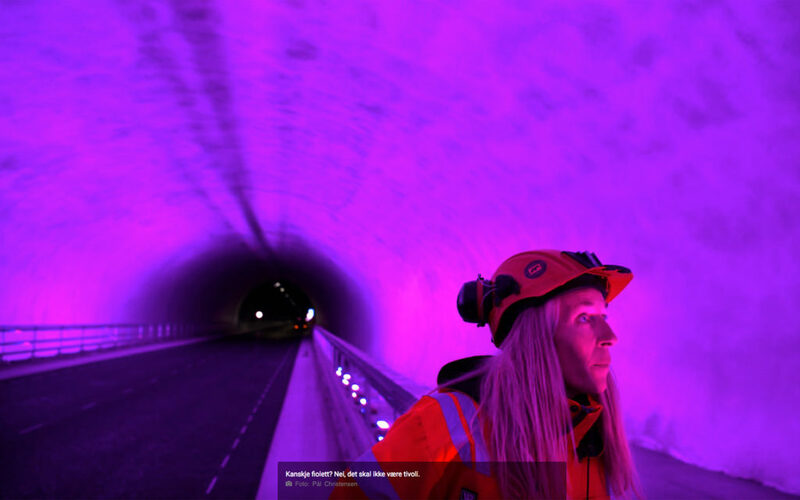 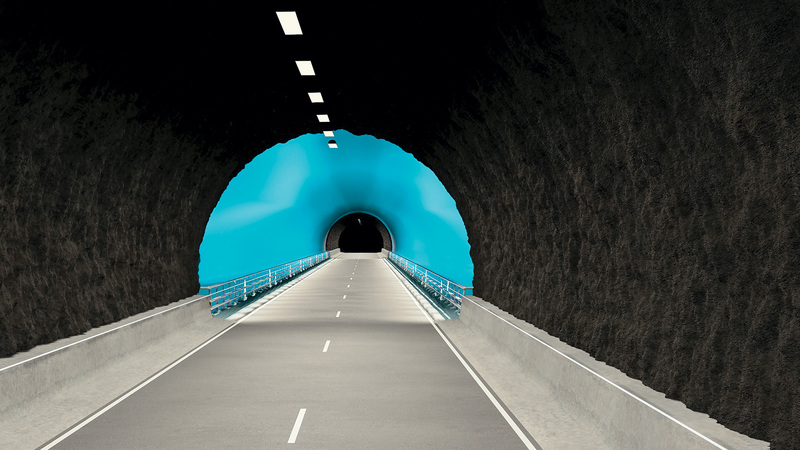 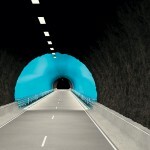 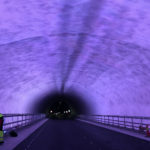 This art project is a very important part of the traffic safety in the tunnel, and is acclaimed by Sintef. 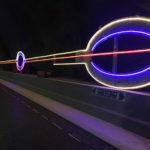 I am part of the Norconsult project team for both the Ryfast project and the Rogfast project, as an indipendant artist. 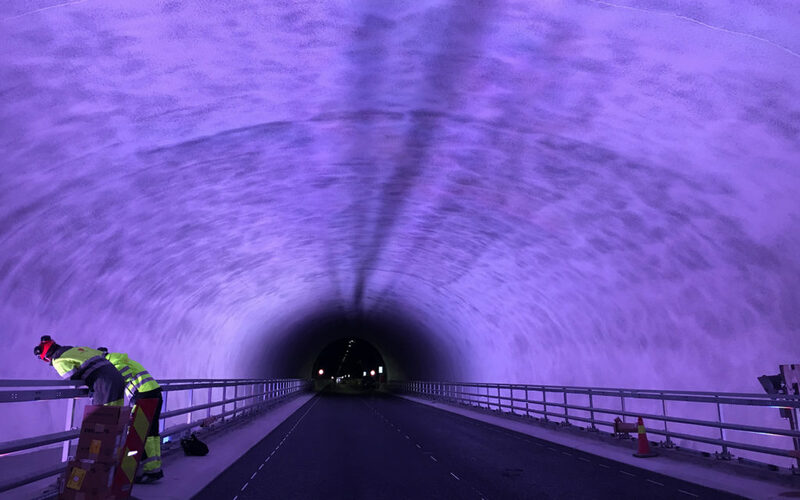 I initiated the art project ”Behind the Breath”; concept, shape and visuals in 2012, onsite constructions will start in spring 2017. 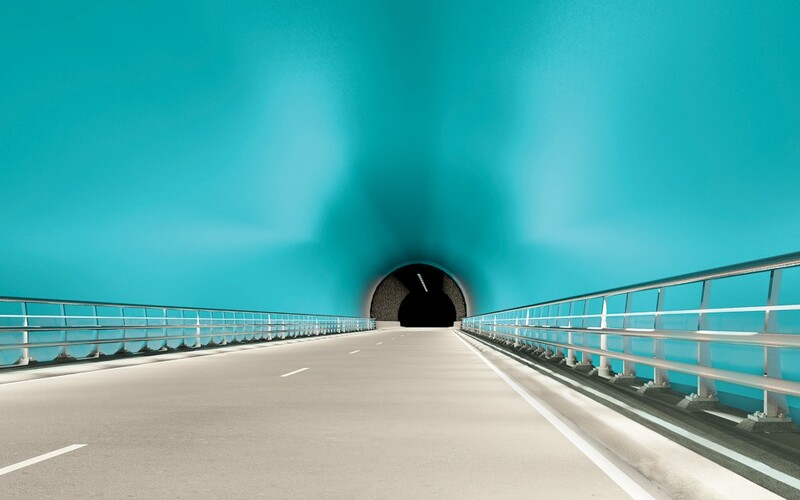 Realization 2019. 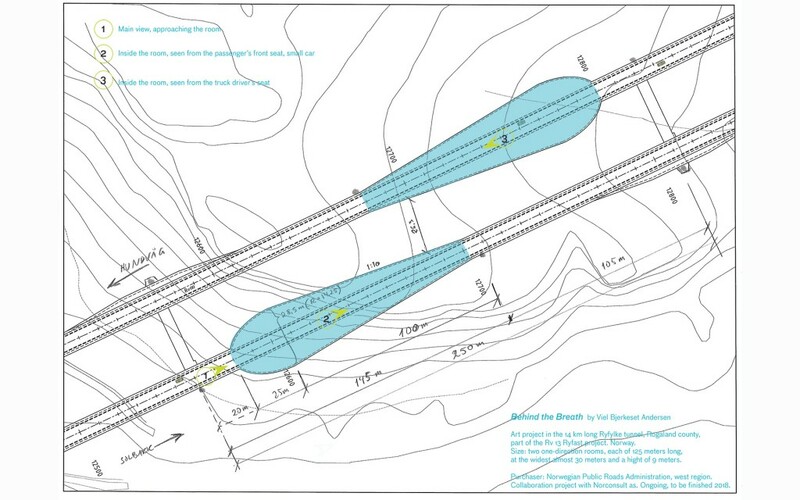 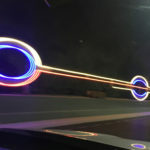 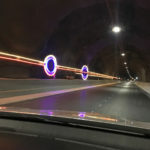 I have also proposed other art projects for the Ryfast project, such as light lines / light drawings in the Ryfylke tunnel on both sides of the rock room ”Behind the Breath”, as well as light objects in other parts of the tunnel system consisiting of the Eiganes tunnel and the Hundvåg tunnel. 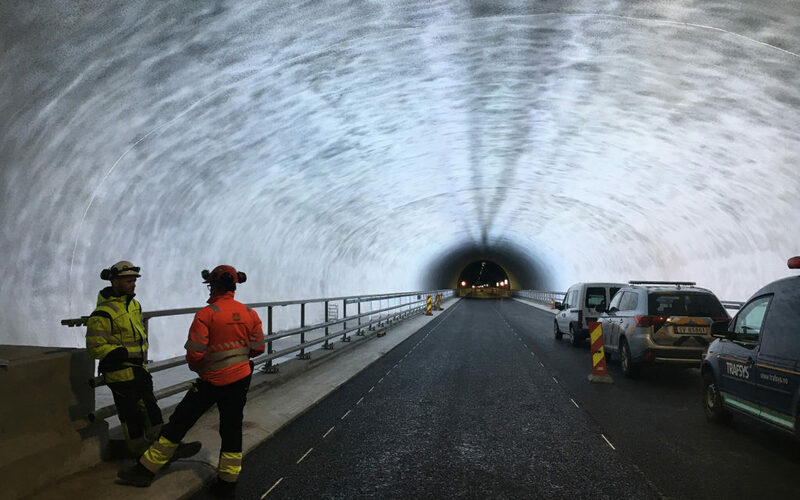 Purchaser: Norwegian Public Roads Administration, west region. 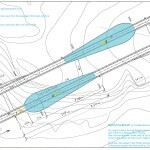 Co-operation project with Norconsult as.